Sarah’s chocolate “factory” is really a kitchen in a 250-year-old building named The Chocolate Barn set in a West Sussex country estate. In 2005, after having her children, Sarah Payne set up Cocoa Loco baking brownies in her kitchen. Rory later joined the team and they eventually expanded into the barn. It isn’t just the location that’s special. 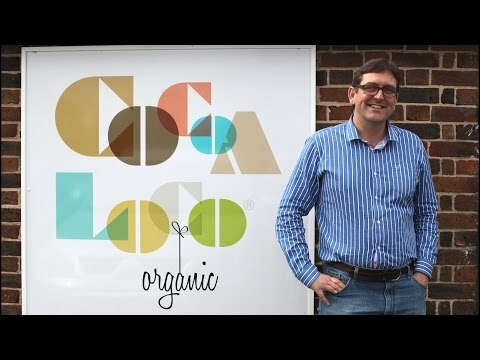 Cocoa Loco’s chocolate is single origin, organic, Fairtrade and lovingly handmade. The result is fantastic tasting, pure and unique chocolate. All of the cocoa beans used are sourced from a co-operative in the Dominican Republic, where farmers are paid a fair wage. The magic really happens at Cocoa Loco, where the small team of skilled chocolatiers create brownies, cookies, buttons, eggs and bunnies.